In a previous article, I explained how to create a cute and entertaining children's musical using a combination of Christmas carols and Christmas legends all based on popular traditions. The Legend of the Christmas Bell is one that touches both the heart and soul of everyone who hears it, and is one of those traditions that single-handedly keeps our faith alive. "…The star shone brightly over Bethlehem, guiding the shepherds from the fields and the wise men from far-off lands to the stable of the newborn King. But, in the city, a small boy – blind and alone – wandered aimlessly through the streets hoping someone would lead him to the Christ Child. Suddenly, through the still-night air, he heard the faint tinkle of a distant bell…"
I selected one 8th grade student to be narrator for the Legend of the First Christmas Bell and retyped the story on an index card in bold print for an easy read. I chose the 3rd and 4th grade classes to sing for this legend as they were the next two grades in numerical order, as well as a great group of kids with lots of energy needed for this skit. I had to choose two songs (Christmas carols) that my students could memorize easily, and that were associated with Christmas bells. The two carols they sang were Jingle Bells and Jingle Bell Rock. Costumes for this portion of the musical were very easy to assemble. I simply sent home a parent letter asking that the students wear red or green for the performance. Sounds easy enough? But wait…what about "the bells"? Well, I decided to use a prop to take the place of the costume here. I made jingle bell bracelets for each student! I strung three jingle bells on each bracelet, tying knots in between each one so they don't crash into each other. This would take away from their beautiful "jingly" sound and the children's singing. I then would make them all about the size of my wrist, so they are intentionally slightly large for the children. This way they will easily slip on and off of the kids' hands before and after they sing their carols. Once all of the bracelets are finished, I have found the best way to store them without tangling them (which can become very aggravating! ), is to place them on empty paper towel rolls. This way you can just slide them on and off at ease. If you are on a tight budget, and cannot afford the real wrist or stick jingle bells, these are a great alternative and they sound the same! When you have 40 or more kids on stage all shaking jingle bells; it is quite the majestic sound! Once again, I use the jingle bells as a prop for choreography as well. I have them shake their bells in upward and downward motions as well as using other hand motions to match the lyrics. At the beginning of Jingle Bells, I have them start with their bell bracelets on the floor and we use hand gestures for "riding in a one-horse sleigh", etc. Then on "Oh…" I have them pick up their bells and they sing "Jingle Bells, Jingle Bells…" and continue using the bell bracelets for the remainder of the song. Jingle Bell Rock is similar, with quite a few hand motions as well as some more complicated turns, and each student has a partner for a portion of the song. I do make sure that I provide each student with a copy of the Jingle Bell lyrics so they can write in the motions for each line. After rehearsing two songs using various dance moves, it can become difficult for young students to remember all the steps. This way, they have a visual aid to guide them and so they can practice at home. The Legend of the Christmas Bell is one that will be passed on from one generation to the next and will always remind us to listen closely with our hearts–and not just our ears, for our heads may often get in the way. Let joy "ring out" this holiday season! Ideas based on author's teaching experience. 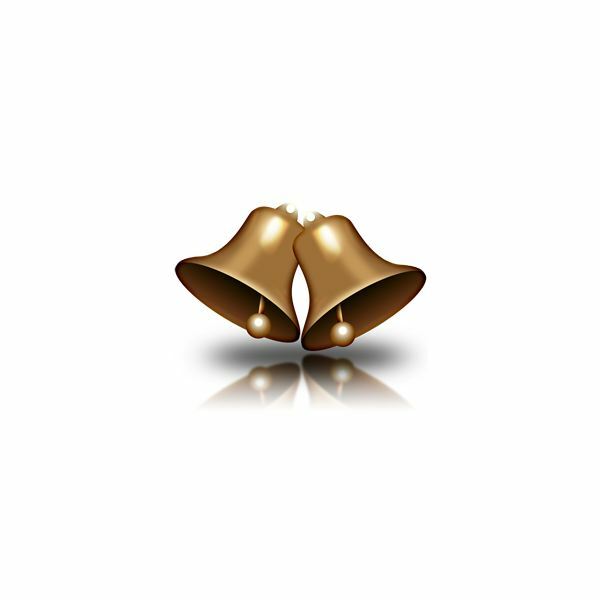 Image: Christmas Bells by petercui under Public Domain.